I’ll admit it—sometimes social media can by a mystery. A friend shared a wonderful vocabulary resource called “Wheel of Words” via Facebook. Hoping for a bigger version I searched for it the image, found it, and was led to the source page—because, of course, I wanted to give credit where due. The problem is, though I can see the source page, clicking on “Home” tells me I’m on a private site by “Miss Robb” and shouldn’t view it unless invited. So, what to do? The truth is, I have no idea who originated the wheel. There are several versions online. I decided the best answer was to share the already-public resource without a link to the private source. If the author wants me to do it another way, I’ll happily comply, because this really is a wonderful thing. Anyway. 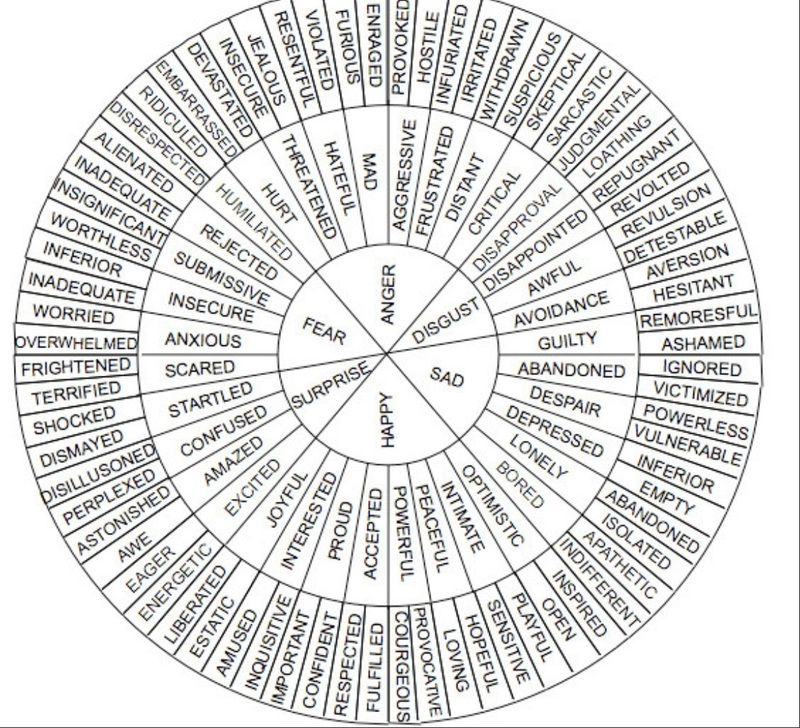 The Wheel of Words provides more targeted and specific ways to describe six key emotions: fear, surprise, happiness, sadness, anger and disgust. Take a look. Now, imagine how this resource could be used to help students be more descriptive in their writing—or even to describe more accurately how they are feeling. 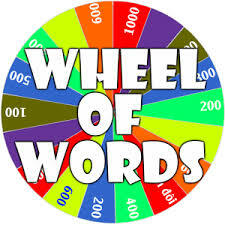 The wheel also could inspire your students to develop their own vocabulary tools. I can easily imagine students creating their own versions of the Wheel, particularly younger students for whom the vocabulary of the full wheel might be overwhelming. But this kind of exercise needn’t be limited to descriptors of emotions. How about a wheel that centers on different ways of moving? “Walk” could be divided into “stride” “shuffle” “slink” etc. Or students could be challenged to create wheels for adjectives or metaphors. Perhaps your class could make a wheel centered with “Cold as.. . .” “Angry as” etc. In truth, the wheel shape can be useful any time we want students to consider multiple things in multiple ways—as we might in attribute listing. I’ll bet you could design a science experiment generator in the form of a wheel, or it could be used to demonstrate the relationship among animal phyla,species, etc. I’m sure you can think of other uses. When you do, please let us know. « Students as Questioners 7: What Do Scientists Ask?